Welcome to Parking & Transportation Services! Whether you are a visitor, alumnus, new student or new faculty/staff, we are glad to see you on our campus. 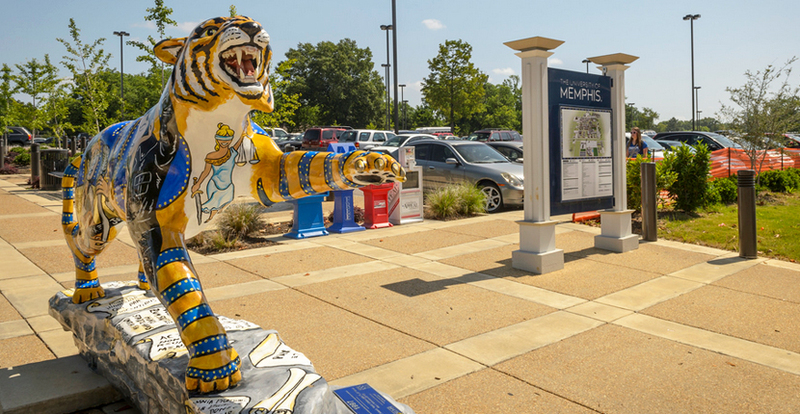 Parking & Transportation Services (PTS), an auxiliary unit within the Department of Business Services, manages all University owned parking lots and is responsible for administering the Parking and Traffic Regulations of the University of Memphis. The date for priority lot sales for the SUMMER semester is Tuesday, April 23, 2019. Priority lot sales for the FALL semester will begin Tuesday, August 6, 2019. Please purchase online through myMemphis > TigerPark after these dates. Due to construction south of the tracks, there will be limited access to general parking lot 15. The western portion of the lot is only accessible from the two drives on Houston. The eastern portion of the lot is only accessible from the two drives on Goodman. Neither lot is accessible from Echles nor Southern. We strongly recommend using general lots 8, 11 and 13, all of which are accessible from Normal. Don’t wait in line…Go online! 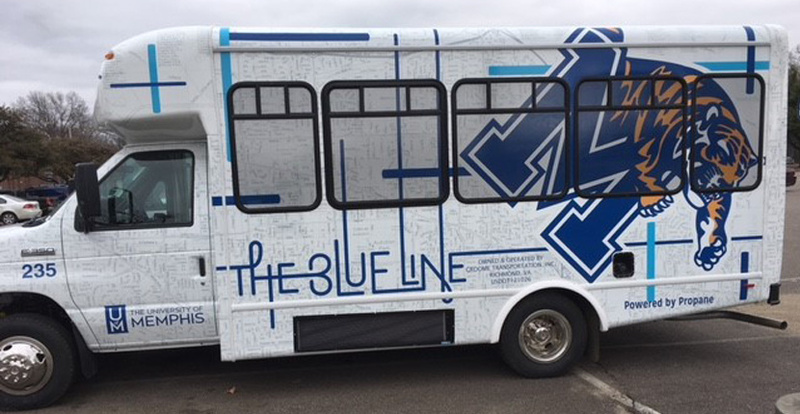 The Blue Line shuttle at the University of Memphis. All of B&F's forms in one place.